Dr. Kurt Luther is an assistant professor of computer science and, by courtesy, history at Virginia Tech, where he directs the Crowd Intelligence Lab. He is also a fellow of the Institute for Creativity, Arts, and Technology and a faculty affiliate of the Center for Human-Computer Interaction, the Hume Center for National Security and Technology, and the Information, Trust, and Society Initiative. His research interests include crowdsourcing, social computing, and human-computer interaction (HCI). 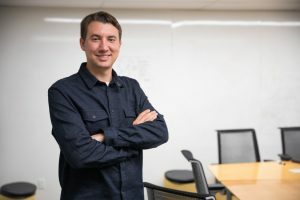 Dr. Luther has received the ACM IUI Best Paper Award (2019), the Purdue University Outstanding Technology Alumni Award (2019), the Virginia Tech College of Engineering Outstanding New Assistant Professor Award (2018), the Microsoft Cloud AI Research Challenge Grand Prize (2018), the AAAI HCOMP Best Demo Award (2018) and Notable Paper Award (2017), the National Science Foundation CAREER Award (2017), and the ACM CSCW Best Paper Award (2013). His lab is currently funded by the NSF, the NIH, and the NEH. His research has appeared in The Atlantic, CNN, Fast Company, Harvard Business Review, Slate, Smithsonian, and TIME. Previously, Dr. Luther was a postdoctoral fellow in the Human-Computer Interaction Institute at Carnegie Mellon University. He received his Ph.D. in human-centered computing from Georgia Tech, where he was a James D. Foley Scholar. He received his B.S. in computer graphics technology, with a minor in art and design, from Purdue University. He also worked in the Social Computing groups at IBM Research and Microsoft Research, and on the User Experience team at YouTube/Google.